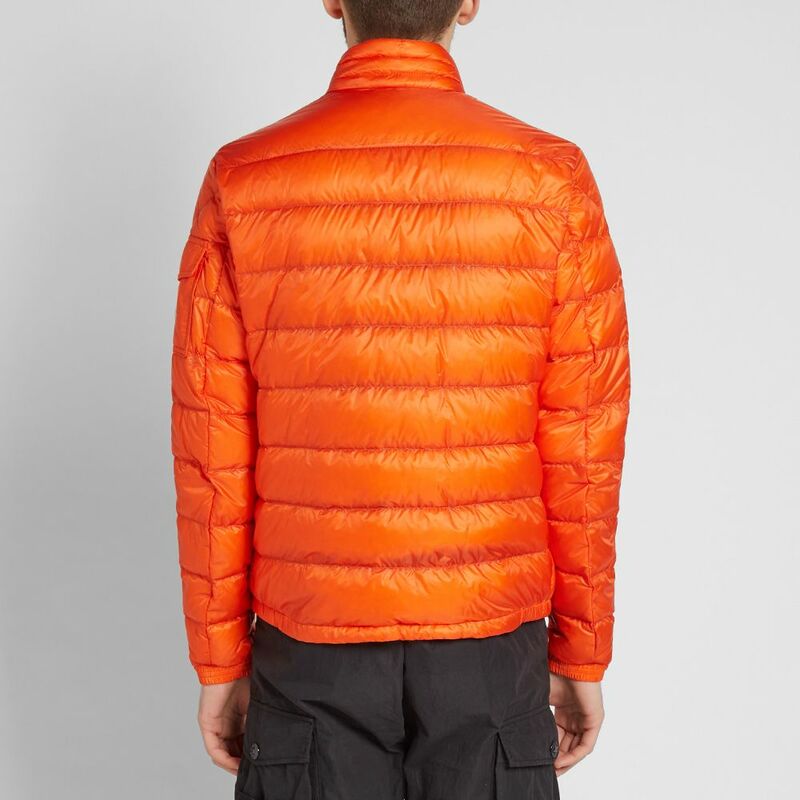 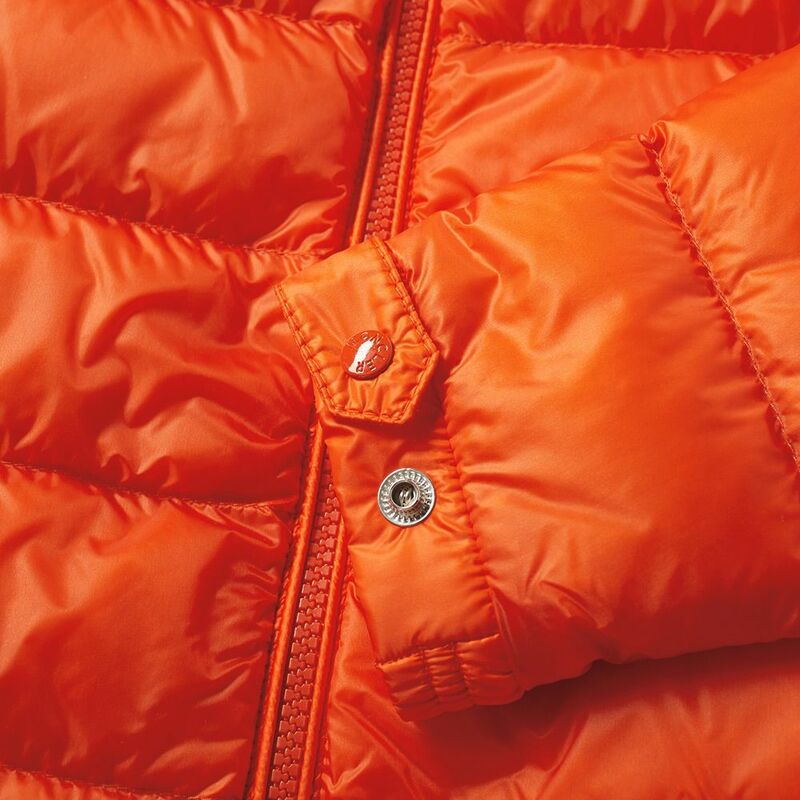 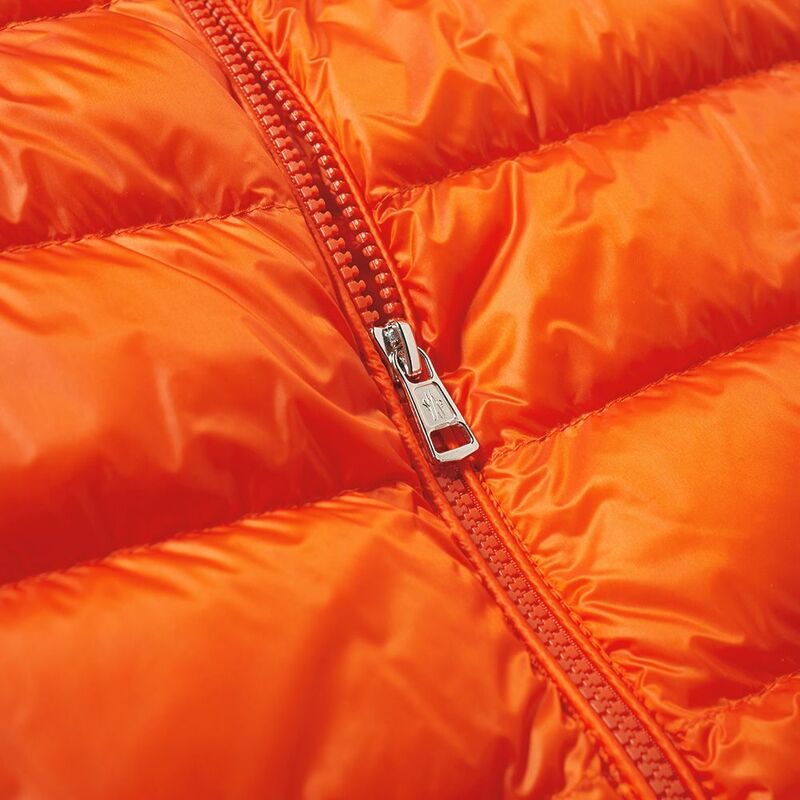 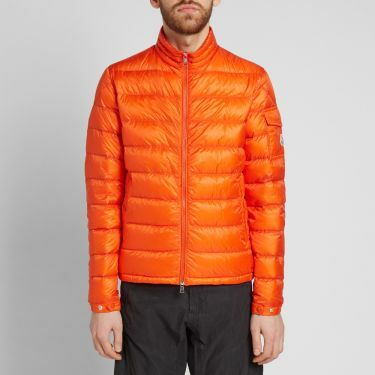 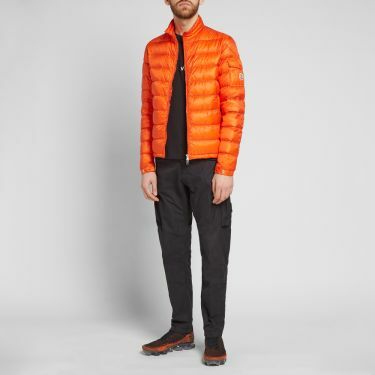 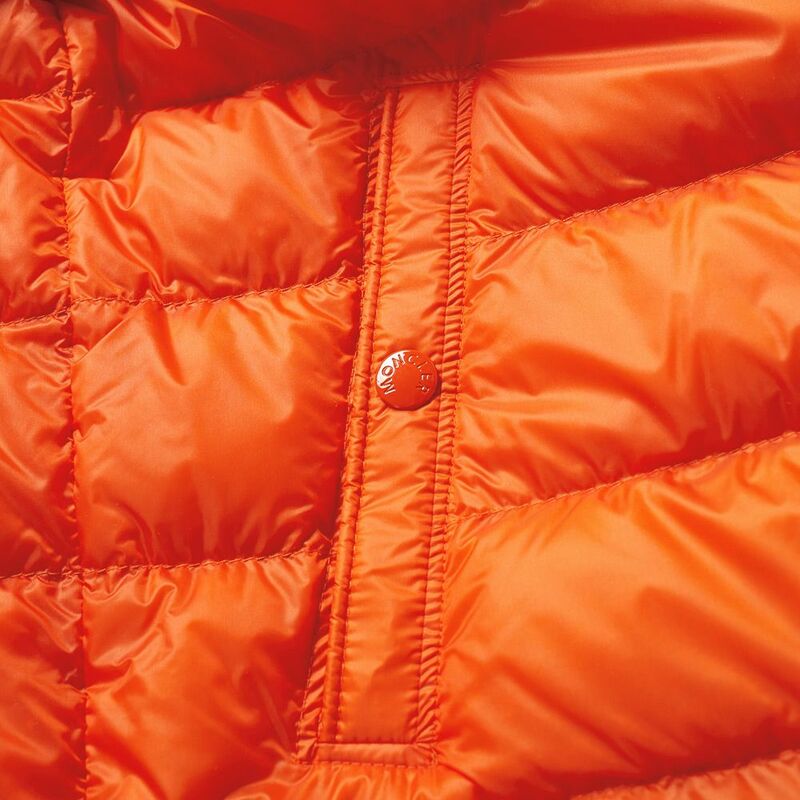 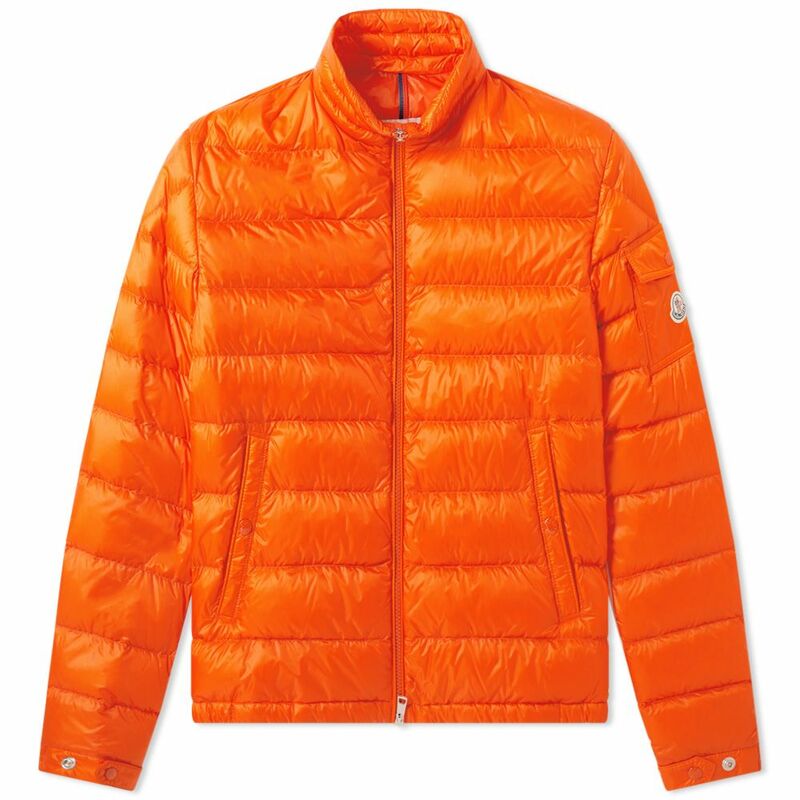 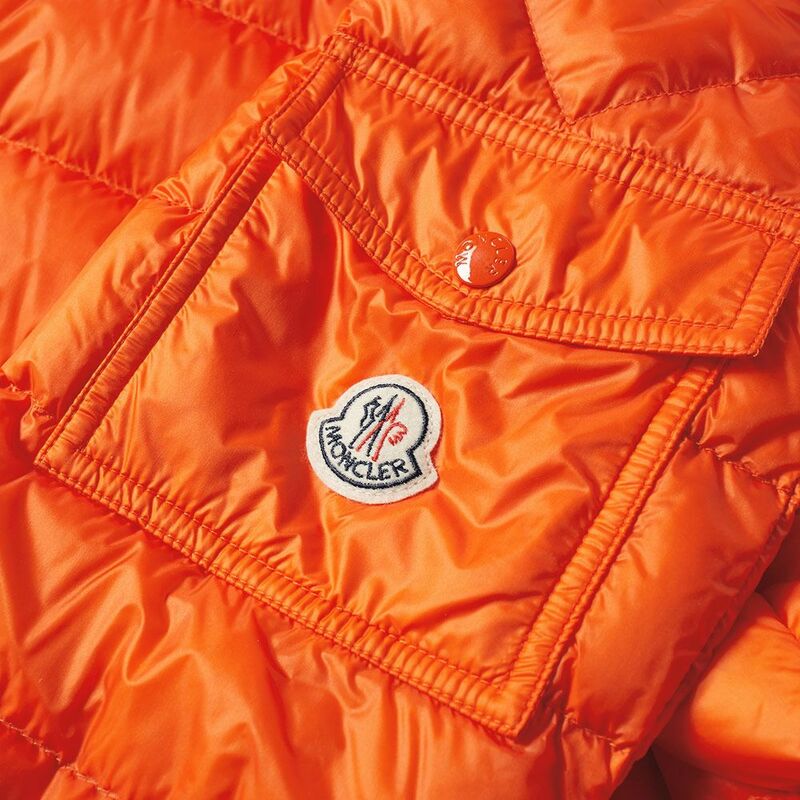 Distilling the essence of Moncler’s heavier winter down jackets into a style perfect for milder climes, the Lambot down filled jacket is presented in a zesty orange tone. 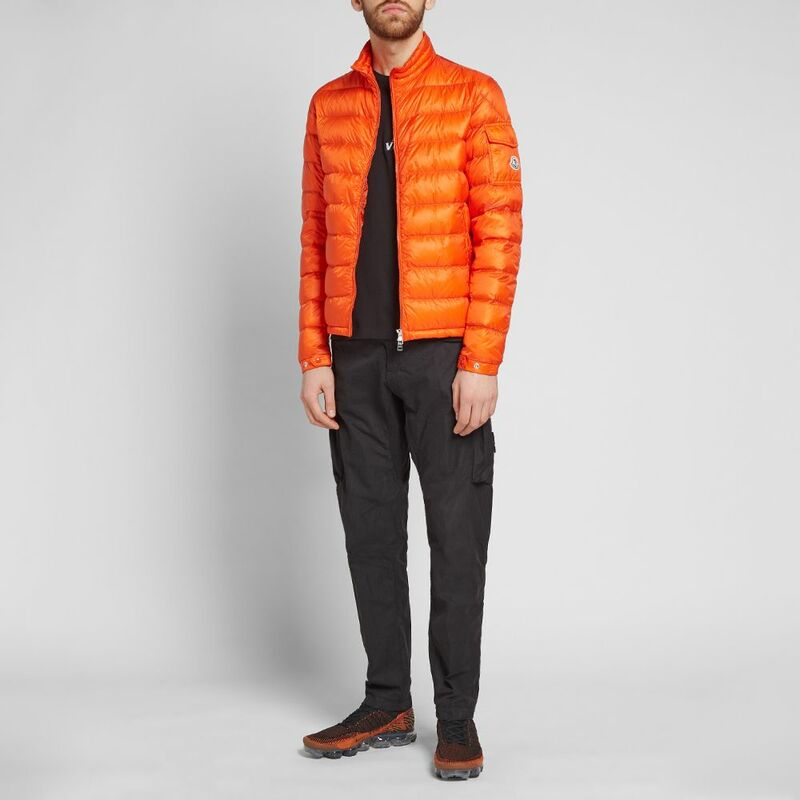 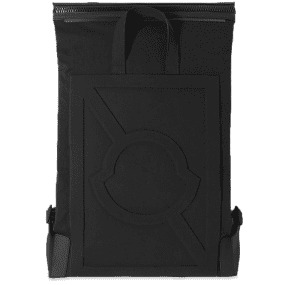 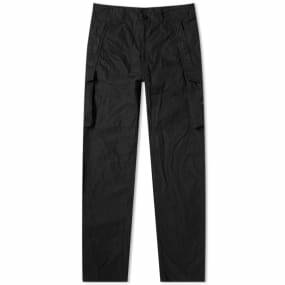 Constructed with pure nylon, this zip up garment features a two-way zip closure, two side entry pockets and a sleeve flap pocket. 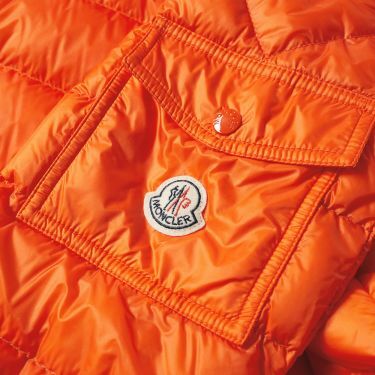 Embellished with the Italian label’s signature logo appliqué to the sleeve, this safety orange outerwear piece captures the spirit of contemporary alpine style. Model is 6ft 1in/1.85m with a 35.5”/90cm chest and wears a size 3.